Combine all ingredients (except the chicken) in a food processor or blender; process to a smooth purée. Place the chicken pieces in a resealable plastic bag or glass baking dish. Cover with the marinade and refrigerate for at least one hour, and up to 6 hours. Set up a grill for direct cooking around 400F. 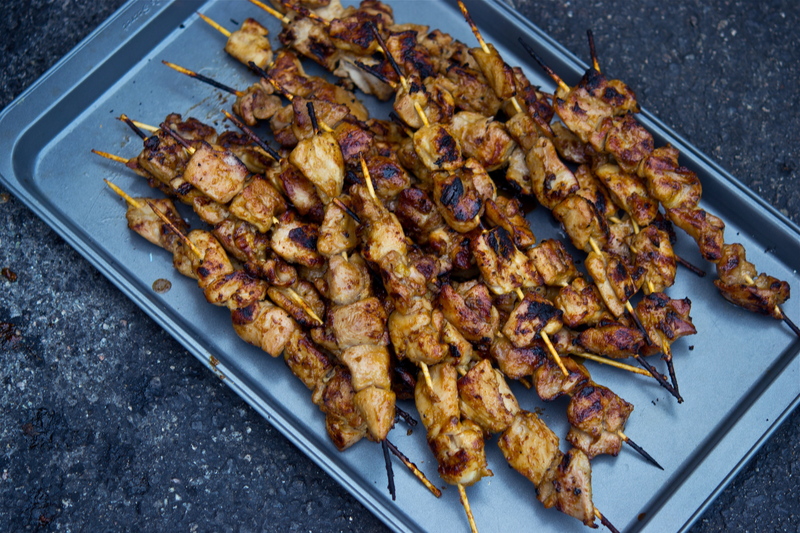 Thread chicken onto skewers, and grill chicken for 4 to 6 minutes per side. Enjoy!